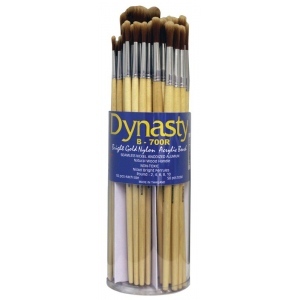 Made with golden nylon bristle and seamless ferrule which are epoxied and crimped for long lasting durability. * Non-toxic natural wood handles are kiln dried. * Each canister comes with wood paint stirrers and reusable brush storage container. 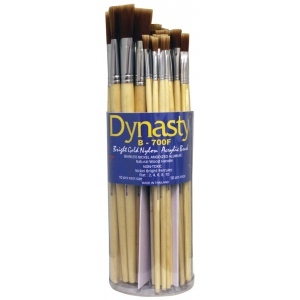 * Each one comes with 50 total bright brushes.